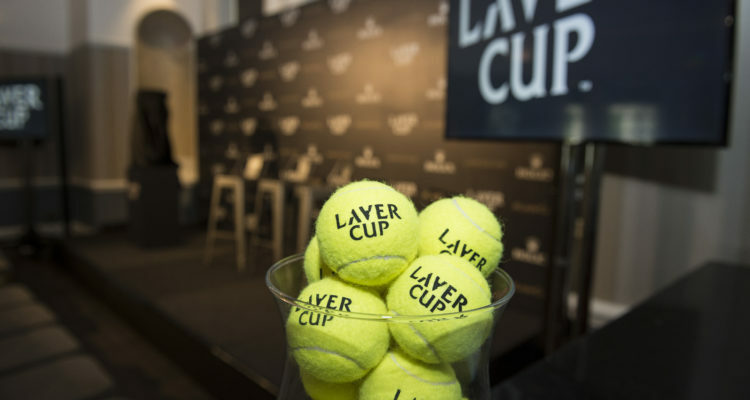 The 2019 Laver Cup will be held in Geneva, Switzerland from 20 to 22 September. Credit Suisse was announced today as a new partner of the Laver Cup, becoming global sponsor of the event for the next five years. Following a hugely successful tournament in Chicago in September this year, the Laver Cup will return to Europe from September 20-22, 2019, to the beautiful lakeside city of Geneva, Switzerland. “I’m delighted to welcome Credit Suisse to the Laver Cup,” Tony Godsick, Laver Cup Chairman and CEO of TEAM8 said. Credit Suisse will join a prestigious line up of brands associated with the Laver Cup, including founding partner Rolex and Global Sponsor Mercedes-Benz. “We are delighted to become a Global Sponsor of the Laver Cup” said Tidjane Thiam, Chief Executive Officer of Credit Suisse Group. The Laver Cup pits six of the top male tennis players from Europe against six of their counterparts from the rest of the world. Led by captains Bjorn Borg (Team Europe) and John McEnroe (Team World), the three-day tournament is played on a stylish black court and embraces entertainment innovations and ‘unrivaled’ competition in a dramatic setting. The Laver Cup has sold out stadiums in Prague and Chicago to date with fans clamoring to watch the intense contest and team chemistry as rivals become teammates in this unique competition. This entry was posted in Laver Cup and tagged Laver Cup.